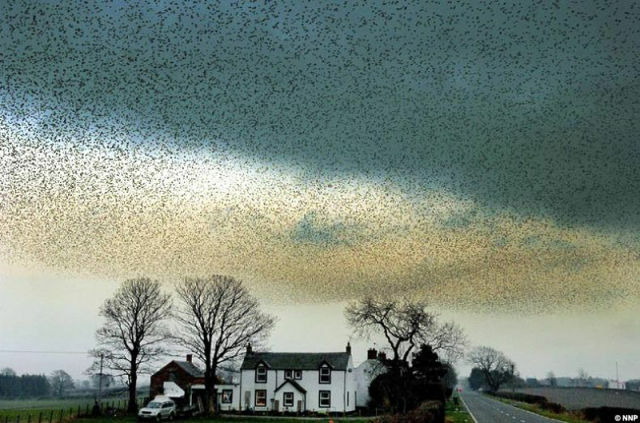 Gretna Green is a Scottish village famous for the bird “air shows”. 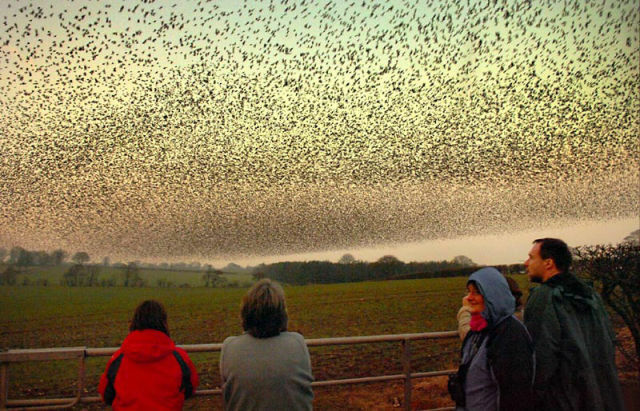 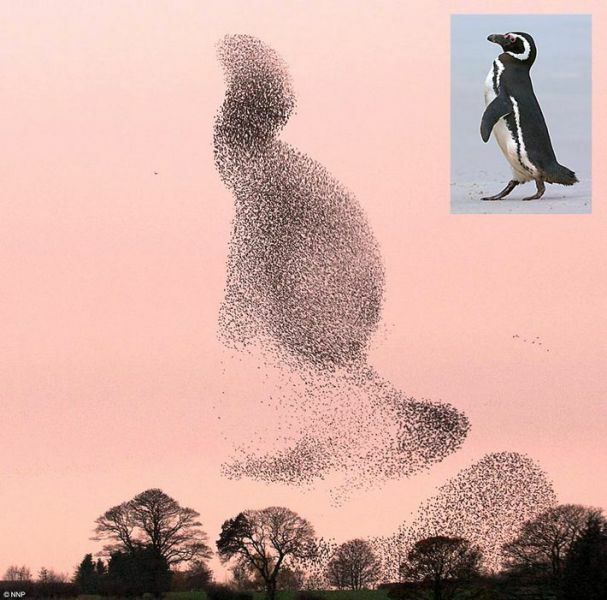 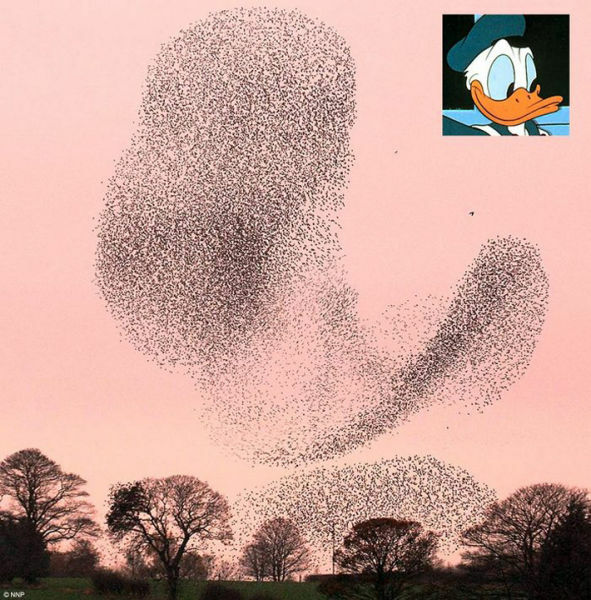 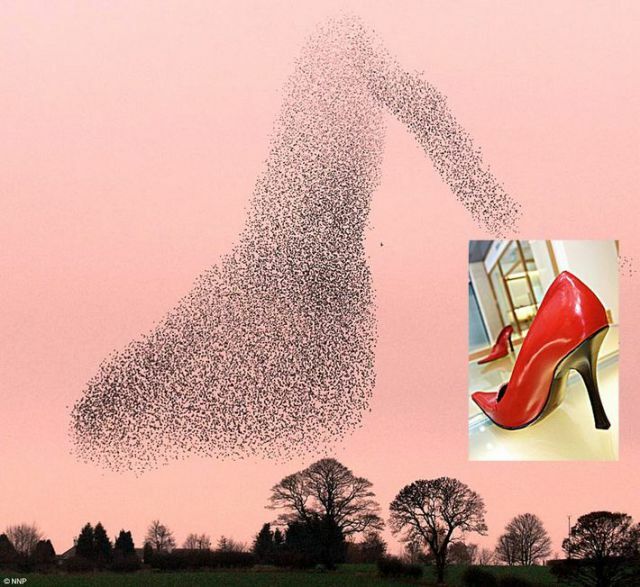 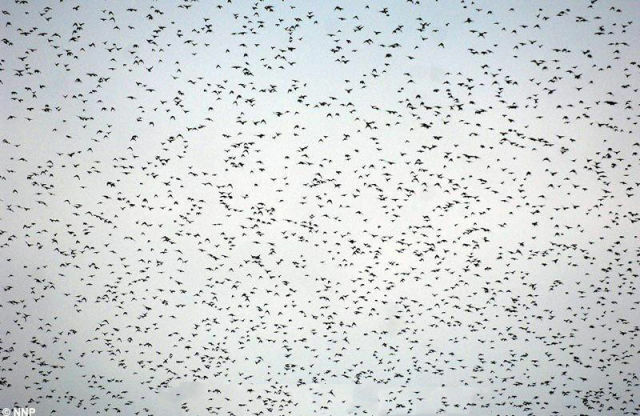 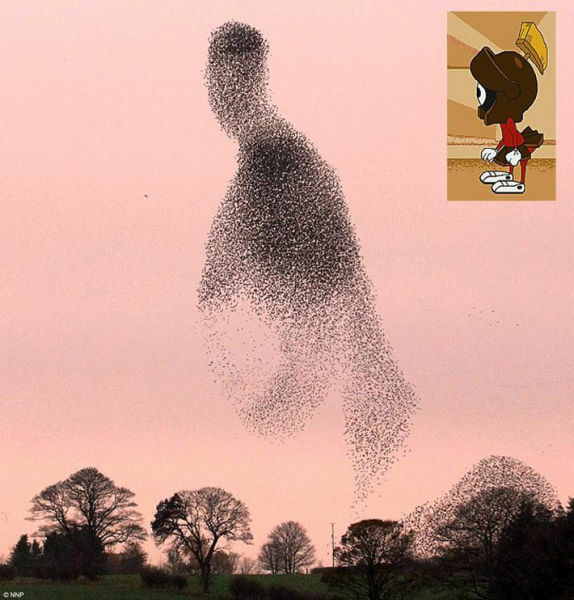 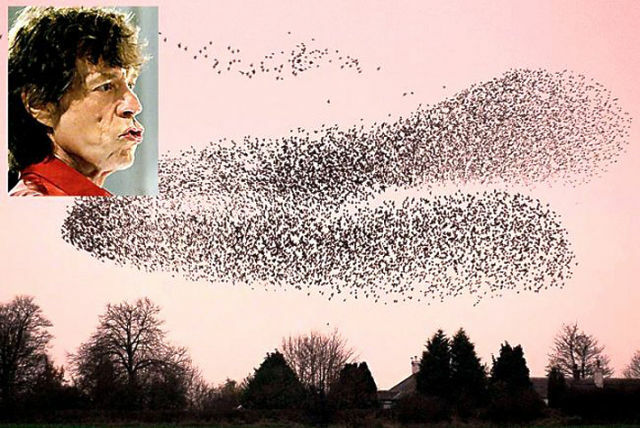 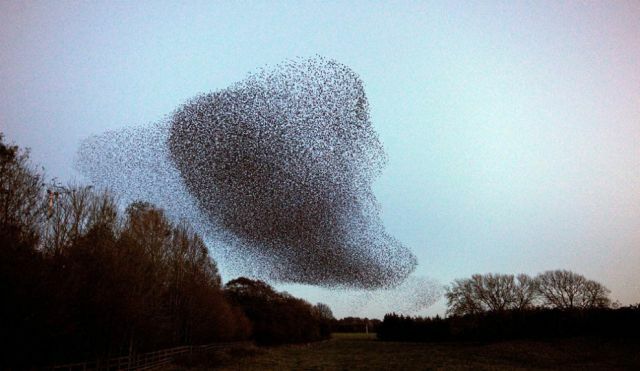 Each year European starlings migrate to wintering in Scotland. 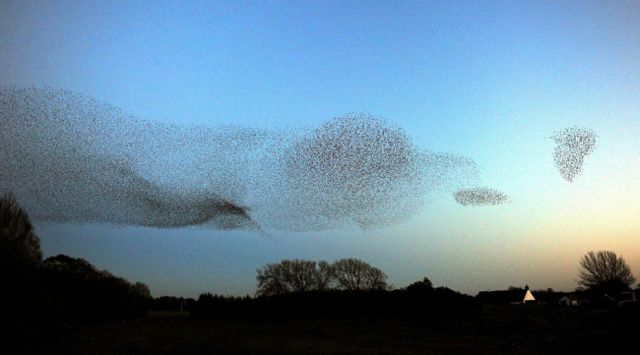 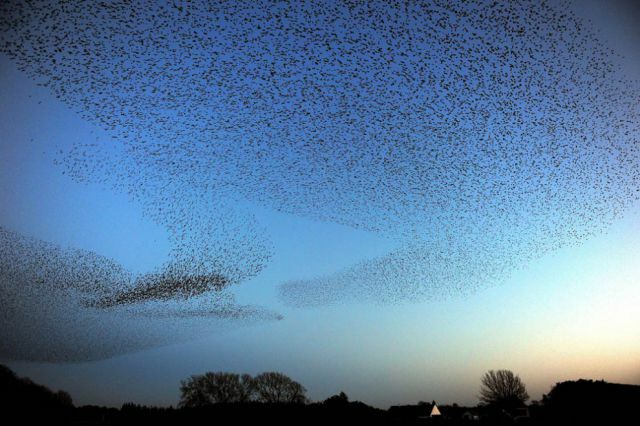 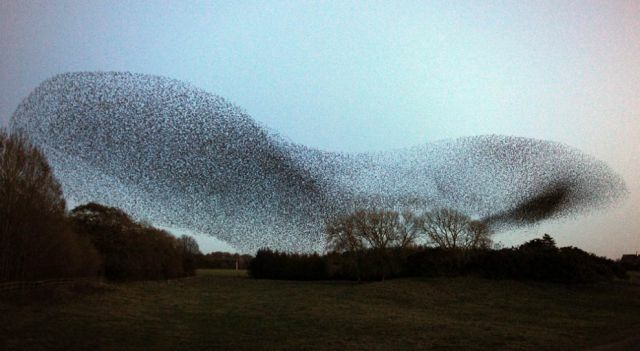 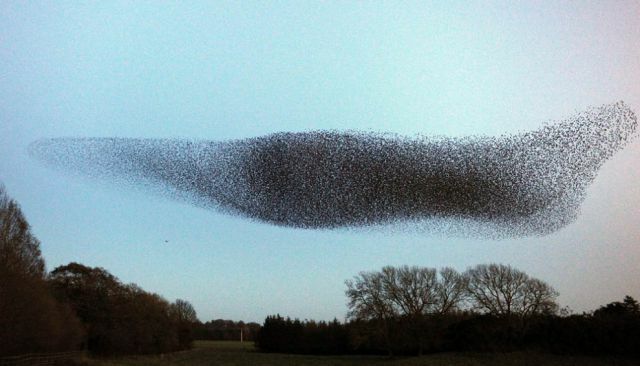 Flocks of these birds soar and form bizarre shapes in the sky as if they were dancing. 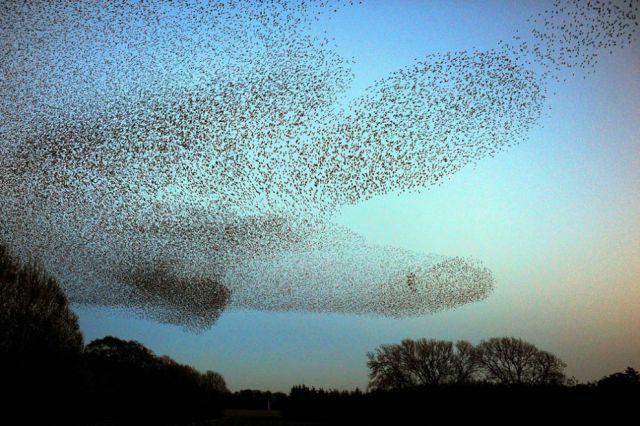 Many come to witness their unusual twists in the air.